Poland has indicated it wants to get more of its energy from nuclear reactors in an effort to draw in more than €88bn of investment to wean the coal-dependent nation off the most polluting fossil fuel. 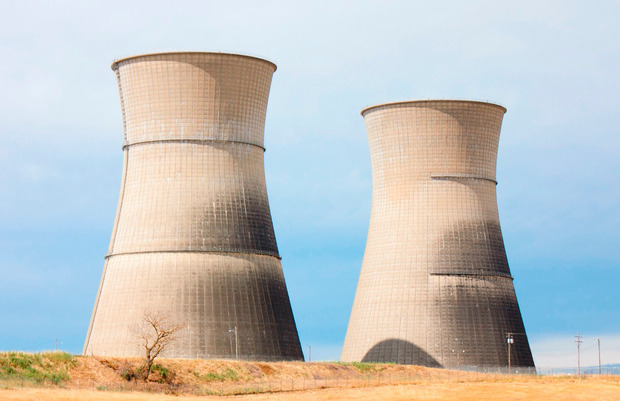 The Energy Ministry wants the country to build 6 to 9 gigawatts of nuclear power generation by 2043 with the first 1- to-1.5 gigawatt unit to be completed in 2033, it said in an energy policy draft on Friday. Total capital expenditures for new mix are seen at 400 billion zloty (€93bn) by 2040. "Nuclear energy is certainly a challenge," Energy Minister Krzysztof Tchorzewski told a news conference in Warsaw. "We're the only country in the region that doesn't have a nuclear plant. It will provide clean power for every Pole." The remarks indicate the government is making security of energy supply a priority over cost and pressures to reduce its greenhouse gas pollution. Poland historically has emphasised energy security as an essential part of its sovereignty, fearing that Russia could use its dominant position as supplier for political ends, as has been the case with Ukraine. Poland sits atop Europe's largest coal reserve and relies on that fuel for the vast majority of its electricity. Earlier this week, Poland awarded contracts for renewable energy capacity with electricity prices of 196 zloty a megawatt-hour, well below the at least €105 required by atomic plants, according to research from Bloomberg Intelligence. While big European utilities including PGE, EON, EDP Renovaveis won capacity in that auction, smaller developers such as Polenergia lost out. The ministry has been struggling to reach a compromise within the government to chart a path towards a smooth coal phaseout amid strict EU carbon emission reduction targets. The proposed strategy didn't give any details about the nuclear plants' funding or companies that will be responsible for the construction. Until now, state-controlled PGE has been in charge of the project - in limbo for almost a decade. The document envisages that burning thermal coal and lignite would account for 60pc of power production by 2030, down from about 80pc now. The share of coal will decline further by 2040 - to around 35pc. Renewables are set to account for 27pc of electricity usage in 2030. The document, which requires approval by the entire government, is released just a week before a United Nations climate summit starts in Poland.